Few organizations on grounds have been more central to enriching the cultural and spiritual life at the University of Virginia than the historic gospel choir, Black Voices (BV). For more than 40 plus years, they’ve carried the light in both the literal and figurative sense of the term. 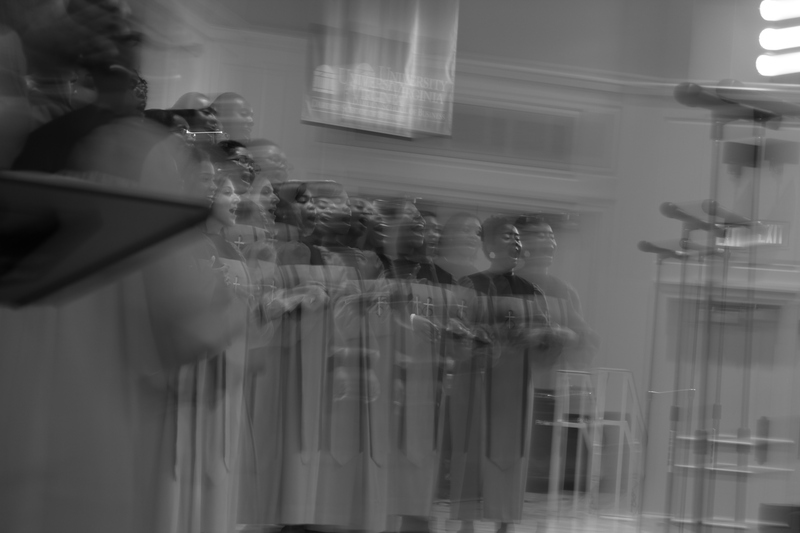 Perhaps nothing testifies to the significance of BV more than the frequency in which they appeared in my students’ interviews of black alums who were not members of the choir, but depended on its concerts for spiritual nourishment and cultural sustenance. Last April, students had the chance to interview one of BV’s founding members, Chavis Harris. They also interviewed other members and fans of BV. Those interviews will be posted soon. A slightly edited transcript of their interview is below. Lauren: When did you first come to the University? Lauren: What was your major? Lauren: What activities and clubs were you involved in before Black Voices? Harris: I was on an ROTC Scholarship and I ended up going into the Air Force. I did a 23-year career in the Air Force before I retired. I worked some. I tried to keep my academic standing high, so I could stay in school. Lauren: How did Black Voices come about? Harris: It was a very small group of us that got together and we were singing at different churches around, we didn’t have that many members when I was active with it. We are very proud of what Black Voices is and what it represents at the University. Lauren: Could you name some of your founding members or classmates that help to create BV? Harris: The Director was Nehemiah Brown (a Kappa). I came back and moderated a program at the 30th anniversary. Reginald Dance was one of the people. Nehemiah Brown used to play music for a small church and we would go to the church in Charlottesville and rehearse. I’ve been back to UVA since then and I know that you guys have rehearsals in University Hall or some place with a bigger space for all the members. Lauren: When you sang for Black Voices, what kind of songs did you sing? Were they spirituals or at the time contemporary or hymns? Harris: We sang spirituals and gospel, and again we were all people of color, there were probably 10 or 12 of us. We practiced depending on our class schedule. It wasn’t a real big group. Lauren: Was Black Voices a part of a larger political atmosphere at the time? We learned in our class that the Black Students for Freedom [later renamed the Black Student Alliance] worked hard to build up the African American Studies program, increase the number of black faculty, and diversify the curriculum. Did Black Voices have a role in that political agenda, or were you guys just here to worship? Harris: Let me tell you how we started and how we even came up with the name. We were a gospel group, all of us liked to sing. We were trying to decide who we were going to be and how we identified ourselves and after a lot of debate one day after rehearsal we decided on the name Black Voices. I don’t know if you still use it or not, but there was even a theme song “We are the Black Voices.” We would always sing before we started a program. The atmosphere of the University at that time was very different. People of color, African Americans, only represented about 1.5% of the student population. I was there when the first Black quarterback started for the football team; his name was Harrison Davis. The first black basketball player was Al Drummond. There were times, like if you were walking on the grounds at night and you were an African American male, and if you were studying and decided to take a break and take a jog like students do all the time, you were probably going to get followed by the university police and stopped. This happened a couple times and finally at one point we thought there was so much discrimination and harassment, we started a protest. We got a phone book and we sat in the dormitories [interviewee mentions Courtney and Lefeyre]. We found the phone numbers of the businesses and registrar officers we called them with our problems and laid them on the table. We effectively managed to stop business from happening. We marched to the president’s office, I remember going in and sitting in the President’s chair to demand better treatment. I think the catalyst to go and do that was an African American professor named Harris…He got into an altercation with university police. They stopped him one night and demanded that he identify himself and he wanted to know why they stopped him and it got out of hand. So you have to remember that was the ‘70s and two years before then there had been a riot about the Vietnam War. There were riots, people were throwing bricks through the building. Into the windows of the walls of the ROTC building. Some of that evidence was still there when I started as a student. 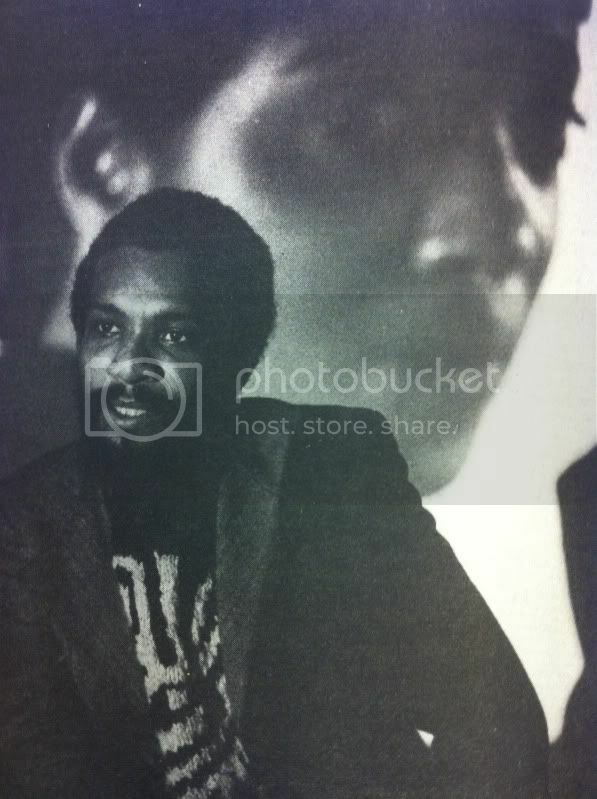 The ‘70s was a time during the rise of black culture, we were Negroes and it became very popular to say that we were black, so we became the Black Voices. But I don’t think we saw ourselves as political spokespersons on behalf of students at UVA. We were singers; we were voices singing for the Lord. We felt comfortable identifying ourselves as black. Lauren: In recent years BV has come up with the slogan, “It’s not a Black thing it’s a Jesus thing” How do you feel about this slogan? Harris: Again you have to understand, we were students that wore afros, and we braided our hair when we went to class. It was the beginning of the Black Power movement or it was in the beginning stages of the movement, I would say it started in the mid ‘60s. But it was how we identified ourselves, but I don’t think that we, any of us thought of Black Voices in relation to Black Power as an exclusion of someone else or another race or ethnicity. I don’t think we were that sophisticated. We were singing one evening in the choir at the church and we said, “We need to call ourselves something.” And we were in the church when we made that decision. Lauren: Have you been back to the University? Harris: I moderated the program of the 30th reunion. I was invited to come back and a lot of the alumni were there and we were so amazed. There were a lot of musicians there and even the alumni, they could come on stage and knew the songs and could sing along with the current students. I had not seen the Black Voices in many, many years, and I was so surprised to see the number of Caucasian students at that time as members of Black Voices. And I think that there purpose and their goal as a group was more Jesus based. This is not a group that excludes people than any other reason than if you don’t love Jesus. So now, it’s been probably ten years since I last saw the Black Voices sing, I haven’t had the opportunity to come back and do that. But I very moved to see who you guys are and what you represent now. And the interesting part is that I am a Diversity Officer at the Equal Employment and Opportunity Office major defense contractor and my work every day is to ensure that people are included and treated fairly without regard to their race, color, creed, or nationality. So for me to see that, even that number of years ago was very special. The other thing that I did, I was a charter member of the Zeta Eta Chapter of Phi Beta Sigma. A lot of the other black students started their own chapters. The Omegas were first and then Alphas maybe Kappas. There were no brothers there on the campus so we were made by a graduate chapter in Richmond; we had to drive back and forth to Richmond because we were pledging. And I was the first president of the Zeta Eta Chapter of Phi Beta Sigma and we took over our first line after we were made. Those were some of the things that we were doing as students. Lauren: How did you balance being a part of Greek life and Black Voices? As someone who is also in the religious community, but also in the Greek community. Do you find those conflicting? Harris: Not at all. The fraternity that is the first in my life is the fraternity of Christianity with my brothers and sisters in Christ and that supersedes everything. I don’t care if I’m a Sigma or decided to pledge a masonic temple or whatever, I’m still a Christian—that’s who I am. I never had a problem with that. To be honest with you I didn’t sing in Black Voices throughout my entire college career, I had to start my flight lessons at the Charlottesville airport, I had to work, and I stayed through my master’s degree. You know there are things that you do and then you move on. I think I sang with them for about two years.